Finding yourself getting more forgetful? You're likely asking, "Is it dementia... or normal aging?" These five signs will help you sort things out. That tendency to forget things more often: Is it dementia or normal aging? Several tell-tale signs will provide clues. We all want to live as many years as possible. And, ideally, we’d like to grow old with physical independence and a lucid mind. Many of us will succeed, with only minimal forgetfulness, but others will suffer a devastating and progressive deterioration of their mental faculties that will, ultimately, lead to a total loss of identity and memory, and even of their most basic physical abilities. How do you know which is which? It’s important to be able to distinguish whether you’re dealing with dementia or normal aging. Surely you know an elderly person with a sharp mind—one who doesn’t forget family birthdays, the stories and anecdotes of a lifetime, doctor’s appointments, or when to take medicines. Maybe it’s your dad, an aunt, or your grandmother, and that’s wonderful—God bless them! But not all elderly persons have the same good fortune. 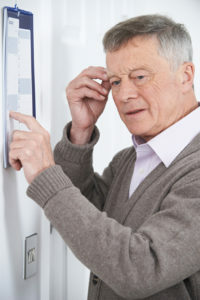 Losing concentration and memory with the passage of time is a perfectly normal part of aging. For some, the wear and tear is deeper and less kind. Dementia is characterized by a progressive loss or deterioration of mental functions such as memory, knowledge, language, and perception, to the point of seriously interfering with daily living, and culminating in a total loss of self and basic physical abilities. Here are some signs that can help you identify dementia if it makes an appearance. It is difficult to determine the moment when mild cognitive impairment (or MCI) is transformed into something more destructive and irreversible, like Alzheimer’s disease or another form of dementia. Except in rare cases, dementia almost always occurs in the 60s or later, so it’s important to be observant and pay attention to older members of the family in order to detect the first signs. Difficulty performing formerly easy tasks involving concentration and reasoning, such as balancing a checkbook, or making mortgage payments, or making decisions. Getting lost in familiar places or becoming disoriented on regularly used routes. Difficulty with language, such as forgetting the names of commonly used objects or having trouble remembering names or words. Losing interest in previously enjoyed activities. Personality and mood changes, apathy, and a general loss of interest in life. If you notice any of these symptoms, the first thing the family needs to do is consult a specialist (a neurologist). If dementia is confirmed, treatment should be started as soon as possible to relieve the symptoms and delay, as far as possible, their advance. This usually involves medications such as Exelon and certain cholinesterase inhibitors. The second step is providing appropriate degrees of support and care as the disease progresses: helping mamá take medications on schedule and in the right dosage, keeping abuelito company so he doesn’t get lost – even in the places he visits most frequently. In a familiar environment in which they feel safe and secure, and with a predictable routine, they can get by during the early stages of dementia. Changing sleep patterns: He or she may wake up several times during the night. Increasing difficulty in carrying out basic tasks, like preparing meals, choosing clothes and dressing, or driving. Forgetting details of family history or even of the patient’s own life. A diminishing consciousness of his or her own self and of things going on around them. Diminished ability to detect and recognize hazardous situations. Speaking in sentences that don’t make sense, misusing words, or pronouncing words incorrectly. In dementia’s most advanced stage, the patient will need much more help, even for basic activities like eating, and going to the bathroom. The time may come when he or she must be moved into specialized housing with skilled nursing because the family is not able to provide sufficient care. As you can see, dementia is much more than a mild loss of memory or concentration due to aging. 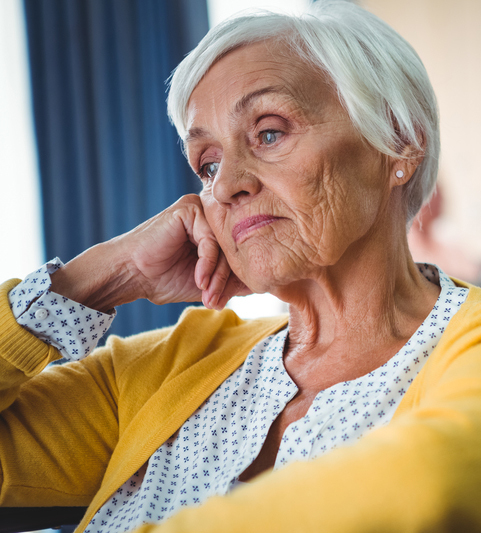 Dementia is one of the most difficult diseases to deal with, for both the patient and the family, as it implies the gradual loss of personality. It is sad when people we love don’t recognize us. It’s even harder when they can’t remember themselves, or when they feel alone and abandoned, even when surrounded by loved ones—including a spouse. You may not be able to stop dementia, but it is in your power to recognize the signs and to seek help as soon as possible. Don’t take it for granted that what you’re noticing are just the changes that come with age. If you have any suspicions that it might be dementia, get professional help to determine if it is or isn’t the case. And, provide company, love, and respect to the person who has it—even after he or she is unable to reciprocate. I wish you strength, patience, and serenity. aging, alzheimer, anxiety, cholinesterase inhibitors, cognitive impairment, dealing with dementia, dementia, depression, early stages of dementia, exelon, Forgetfulness, health, loss of memory, mci, memory, mild cognitive, mild cognitive impairment, mood, personality, sad, sleep, strength, symptoms of dementia.